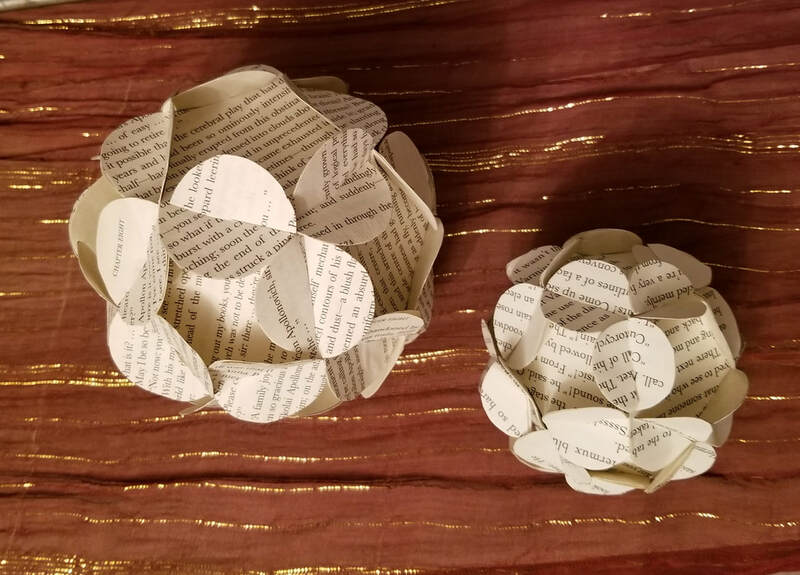 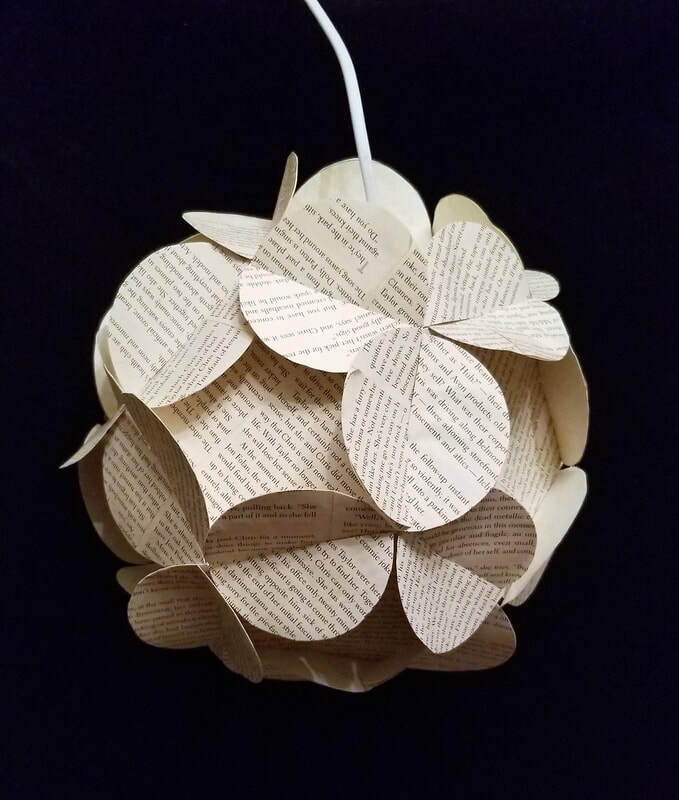 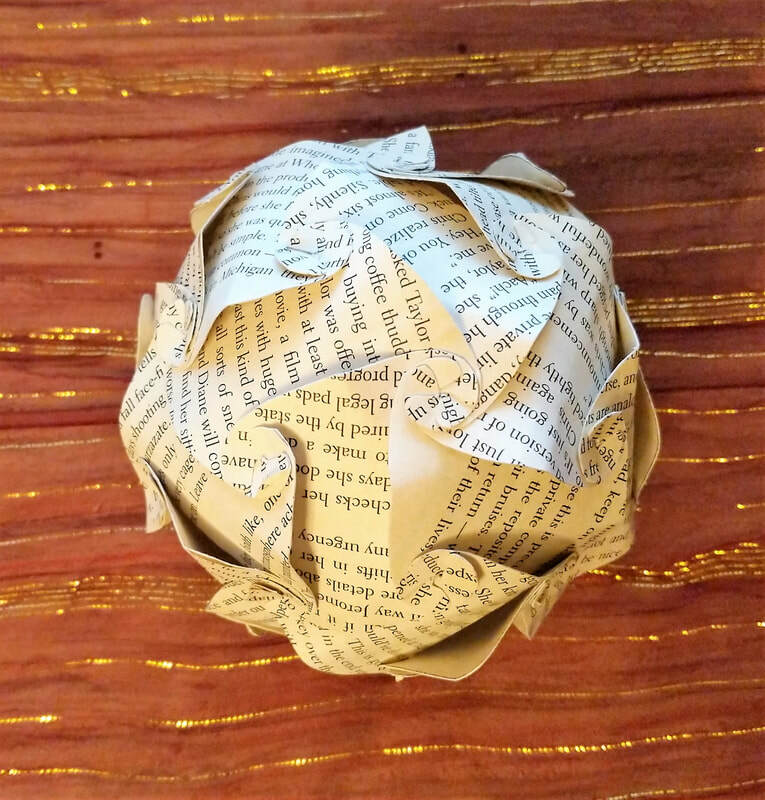 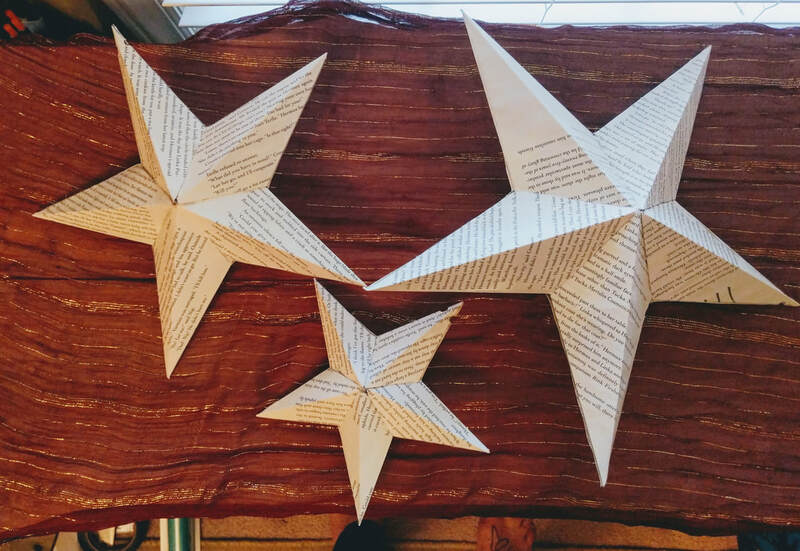 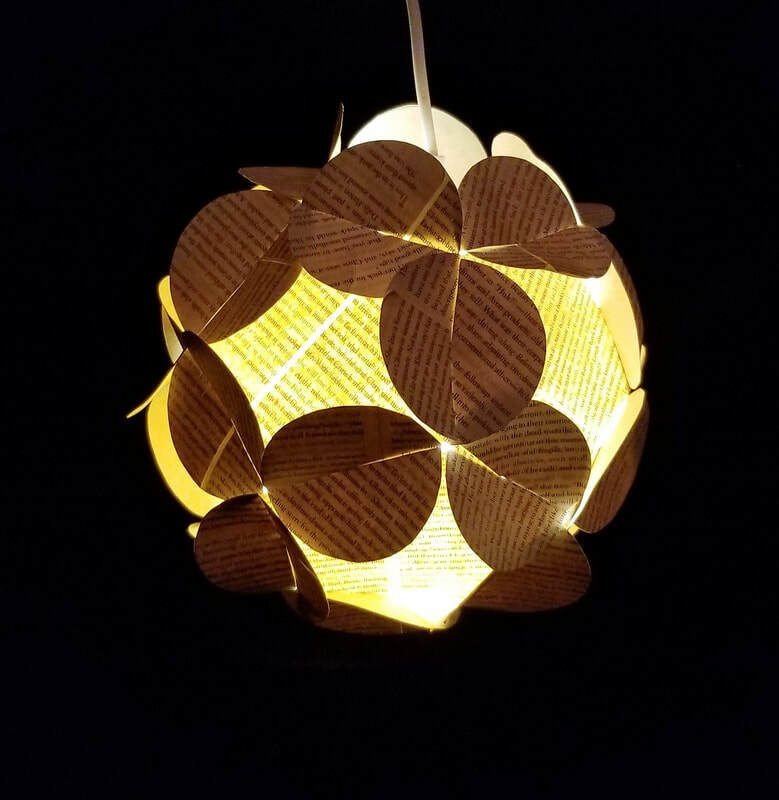 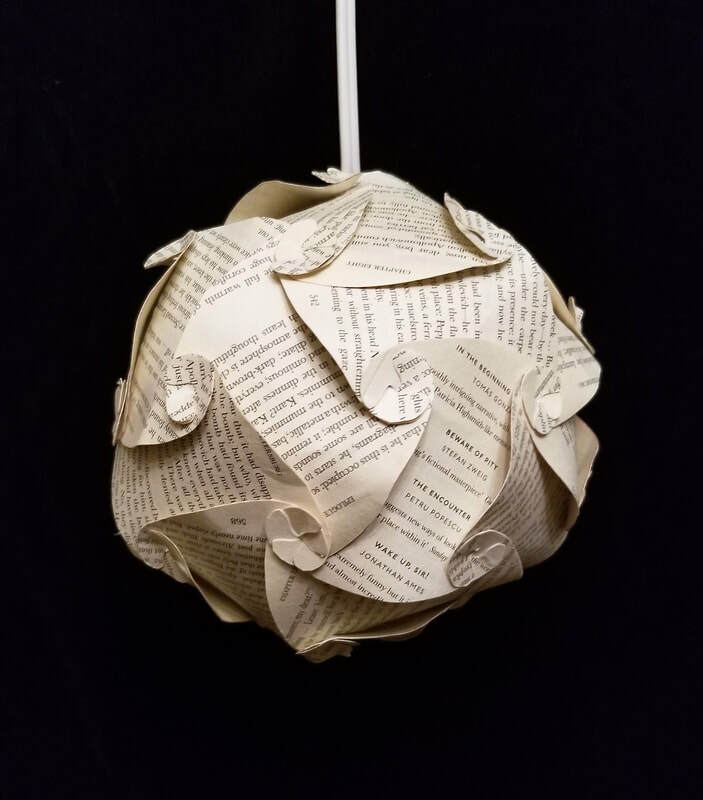 These book lanterns are created from a single shape repeated and interlocked creating a beautiful art piece when unlit, and soft geometric light when lit. 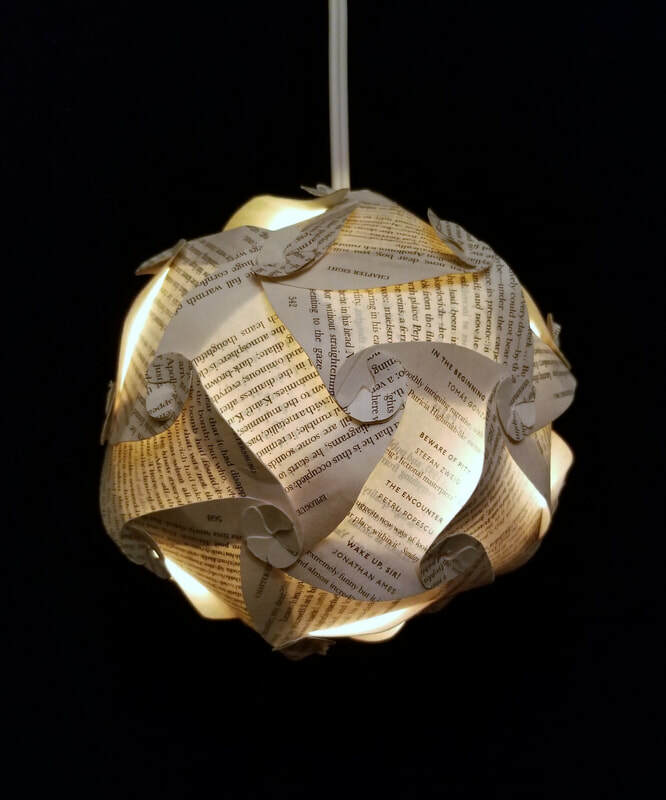 Bulb attachments sold separately for $10. 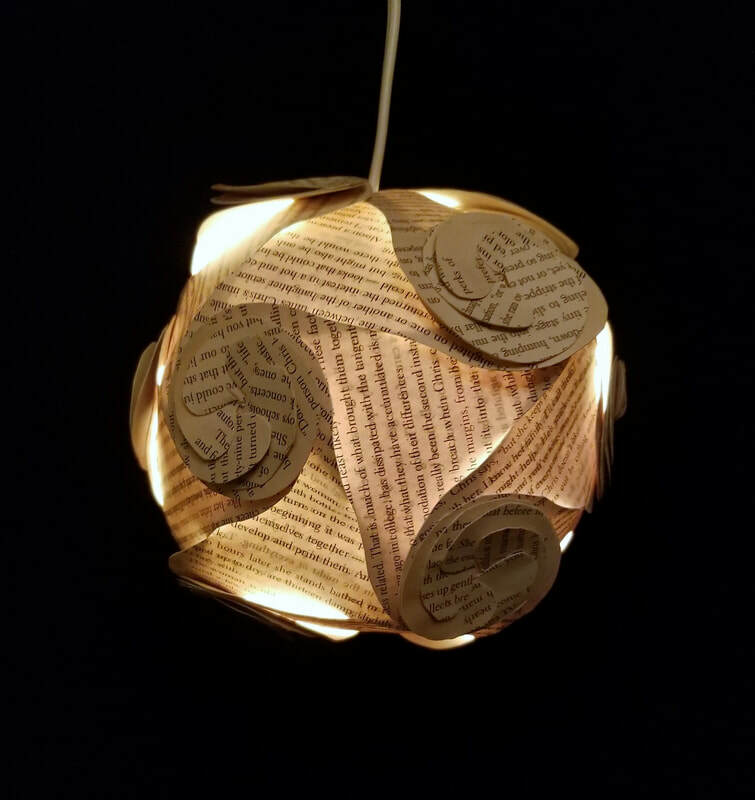 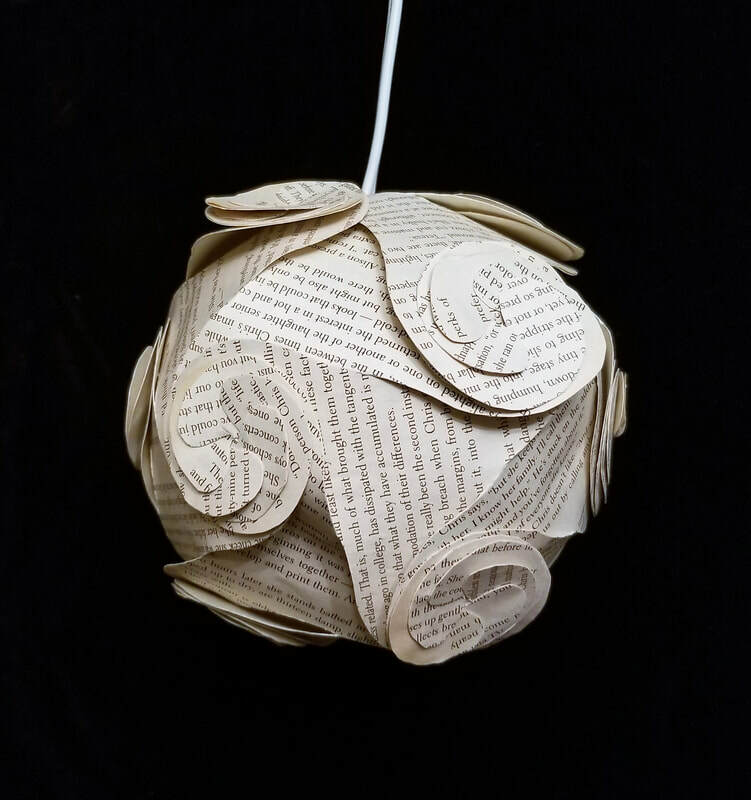 Smaller versions of the book lanterns, great conversation pieces!